May 18th, 2016 | Categories: Home Staging Tips. Tags: DIY designs, DIY home staging, home staging, home staging professional, and home staging questions. #5. Make a Great First Impression! They say first impressions last forever. We can’t attest to that, but they certainly last as long as it takes someone to look through your home. A beautifully-kept front porch area will set the stage for the home in which your buyers can imagine themselves living. Sweep up the front steps, clearing the way of leaves or other discarded plant matter. Add potted flowers and plants to make the entryway more lively and abundant. Buy yourself a brand new welcome mat in the style of your home. That fresh touch, often costing as little as $15, will do a lot to convince your buyer to see more. Mirrors are another great example of a little (and inexpensive) decorative addition that does a lot! Mirrors are a great way to make a dark room appear brighter or a small room appear more spacious. A full length mirror can work well when placed strategically, but collage-like arrangements of smaller mirrors are more effective in adding an artful touch to the home. Setting your dining room table and other entertainment areas as if you’re ready to host a party will give your prospective buyers an idea of what it might feel like to live (and host!) in your home. A home is made by the memories that friends and family create within it! 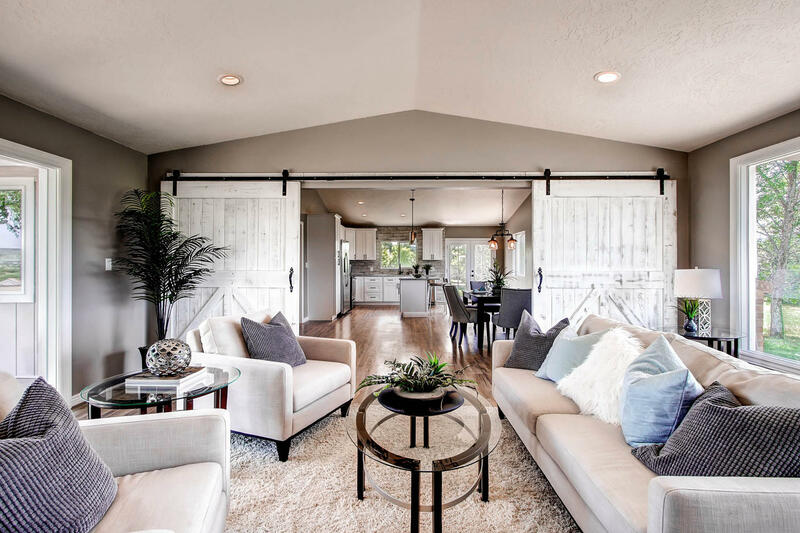 Giving your buyers a sneak peek as to how their future home can look when it’s time to entertain is a great way to ignite their imagination and get them fantasizing about their upcoming housewarming. You don’t have to go all out, simply setting out linen napkins and solid plates on the dining room table, or matching mugs and bowls on your kitchen island or table will evoke the feeling of warm family meals and happy memories to come. 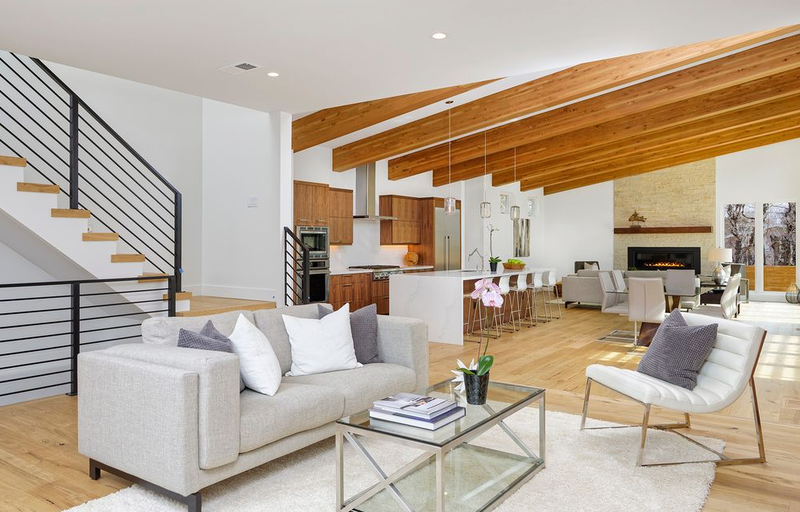 You want your prospective buyers to be able to imagine themselves in your home, which may be hard to do when pictures of you and your family meet their gaze at every turn. Replace your family portraits and photos with artwork, something that is appealing to all and fits the style and design of your home. Swapping family snapshots with landscape scenes is a nice way to create a focal point in the room, plus artwork looks great in real estate photos. Once you’ve decluttered your toiletries from the countertop and cabinet shelves, take a good look at the bathroom and see what else looks like clutter. Mis-matching towels, bathmats, and shower curtains take away from the polished look you have achieved in the rest of your home. Replacing your linens with fresh white ones is a quick, easy, and inexpensive way to make your bathroom look more modern and luxurious. Ready To Set The Stage For Your Home Sale? These simple steps will do wonders in transforming your home if you’re operating on a tight budget. 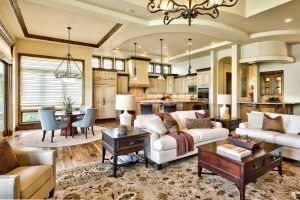 There are, however, certain home upgrades and staging tips that can have a greater return depending on the community in which you live. 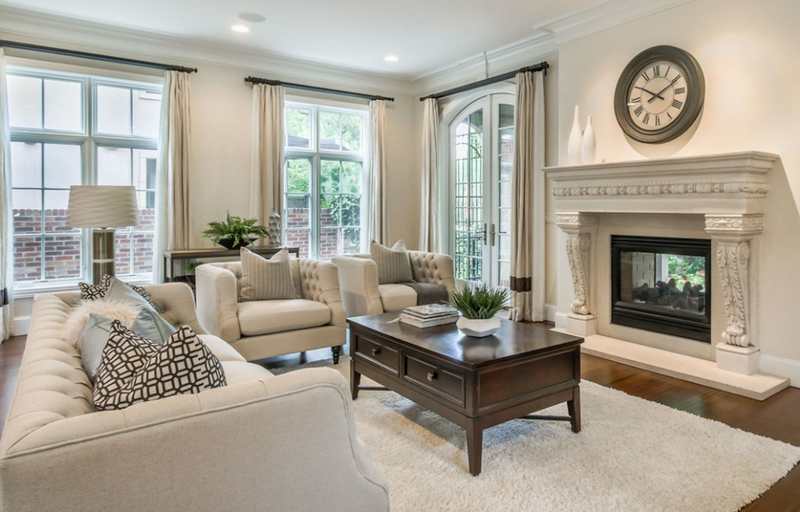 Keep in mind the trusted home staging professionals at White Orchid Interiors have experience working with a range of budgetary constraints and can give you insight into what attracts the buyers in your neighborhood. If you don’t know where to begin in readying your home for market, seeking an expert opinion is a great place to start.